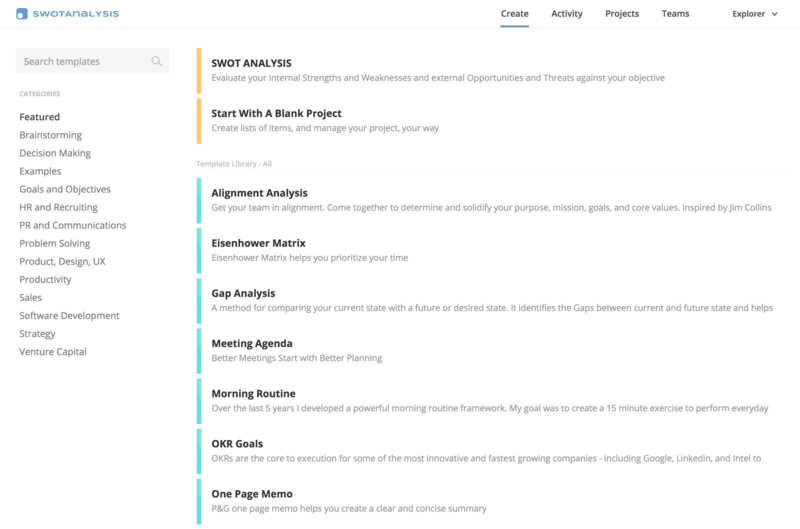 SWOTAnalysis.com, a leading online strategy platform, introduced Frameworks, a new Template & Examples Library to enable users to browse, search, and discover new strategic frameworks. 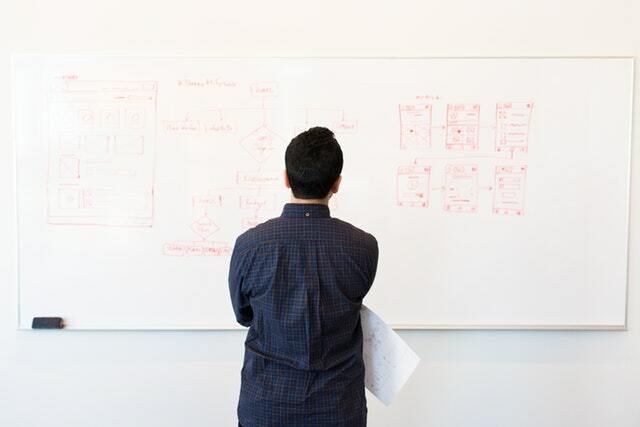 Strategy frameworks help users increase efficiency, focus, and borrow from years of experience from the best minds to help them achieve remarkable outcomes. In addition, a new enterprise focused feature enables teams to extend the library and publish their own custom built, repeatable frameworks, playbook, and checklists for their teams private use. When it comes to strategic thinking, for some, this is an infrequent activity that typically follows the new calendar year. But day in and day out we are all making critical decisions that will impact our future. We often search and find articles that discuss how to structure our thinking for a specific activity but often these articles are not actionable and leave readers searching for templates or loosing time building out their own documents. Today, we publish the most popular, high impact, strategy frameworks in an easy to explore template library. We provide a rich set of categories, simple descriptions, and deep search to help you find the perfect framework for your project. Whether that's writing a press release, solving a problem, designing a company vision, setting quarterly goals, or some much more. Strateg is is the roadmap to success. 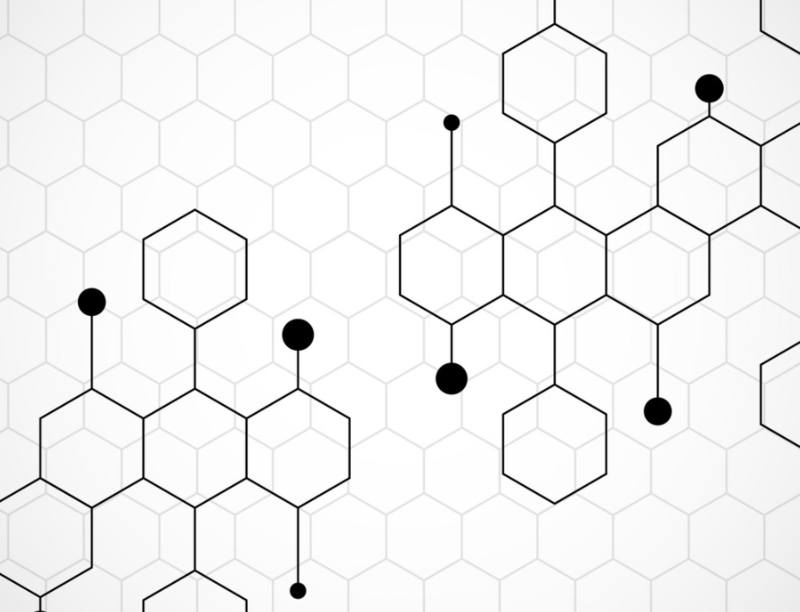 Try out the new template library and borrow from the best minds. 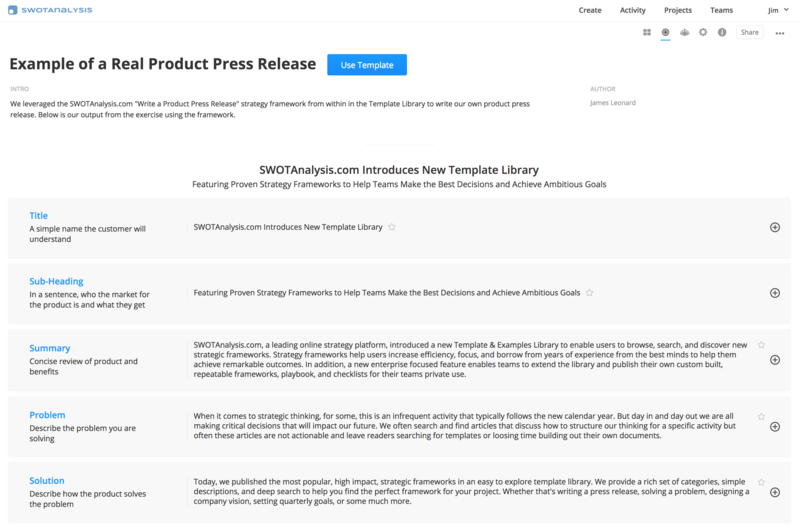 To take advantage of the new Strategic Frameworks Template & Examples library, swotanalysis.com/templates. We also believe in dog-fooding our own products. 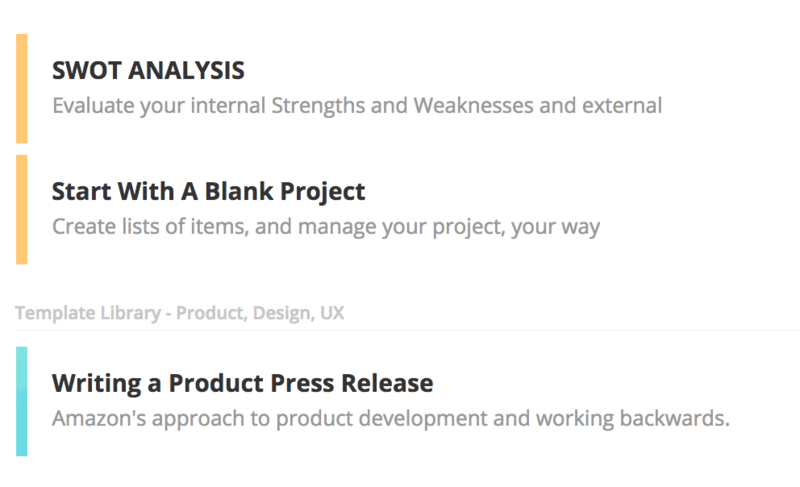 This product release was built around the strategy framework, "Write a product press release" which is featured in our Template & Examples library.